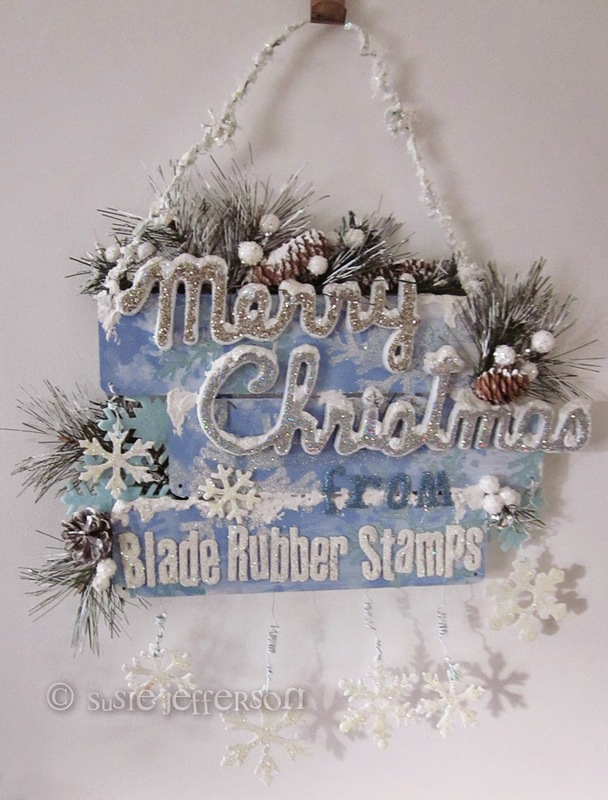 I've made this plaque especially for BladeRubber Stamps, to wish all their customers a Merry Christmas (although it's still just a leeetle early in my book - my Christmas spirit is still firmly in the bottle, probably around 15% proof, lol). As always, I'm heavily into Glitter Mode - this one is positively restrained compared to some of my other projects! I prepped the palette-style MDF pieces with white acrylic, then went back over this with a medium blue and a pale grey, to imitate cold snowy skies. 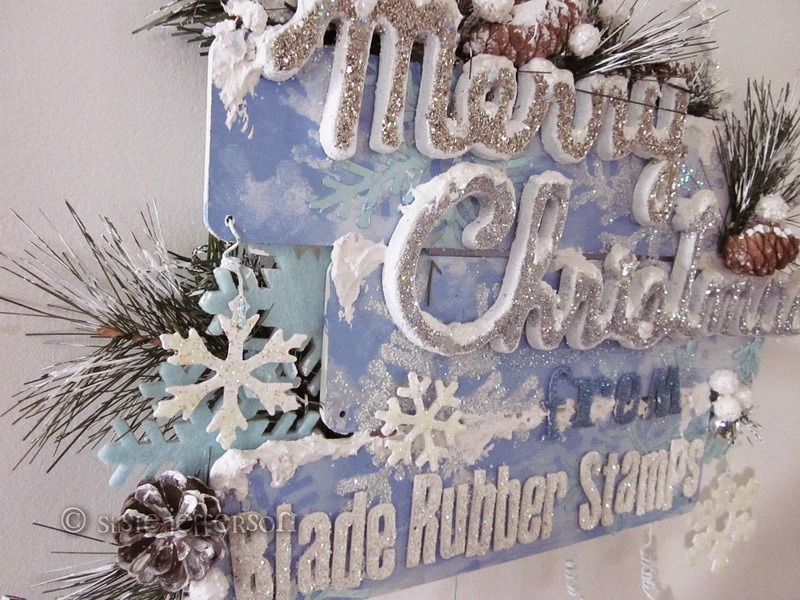 This was topped off with a snowflake stencil, stencilled with metallic pale blue on two edges, and white acrylic in other places. I threw glitter on two of these (glitter will stick to a thick layer of acrylic paint if you apply it while the paint is wet). 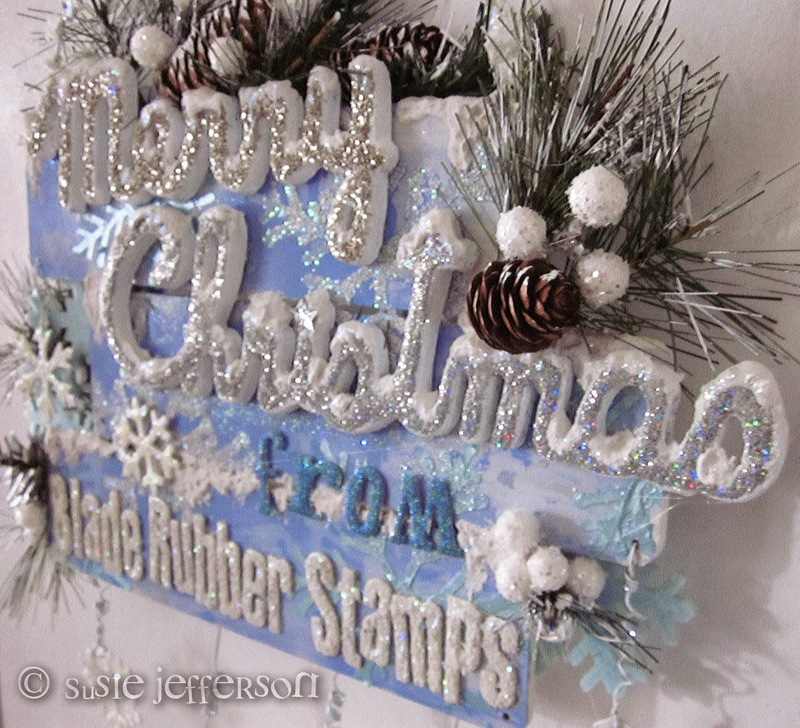 I then prepped all my lettering and the snowflakes (die cuts by Woodware in stiff white card.) I've used white acrylic paint all around the sides of the Merry Christmas phrase (which was bright red glitter, from our local supermarket, which I've separated into two pieces so I could space it out). I drew out my shapes using the fine nozzle of the Glossy Accents bottle - the secret here is to draw around the outline first, then flood in with the glue. If you just want a raised and shiny finish, let it dry as is. If you want glitter etc, spoon it onto the wet glue and leave it to dry completely before shaking off the excess. Make sure you put your letters etc onto a totally flat surface, as this is dimensional adhesive which means it's self-levelling. So if it's on a tilted surface, it'll flow off the edges which is probably exactly what you don't want, lol. I used glitters by Stampendous: Crushed Glass glitter in silver, Shaved Ice (big irridescent pieces), Crystal Snow, and Silver Halo Glitter Mix. Also used: Vintage Sparkle glitter in blue (fabulous bottle!) and Stickles Ice Glitter glue dribbled on the tops of the Merry Christmas, to look like snowdrifts. 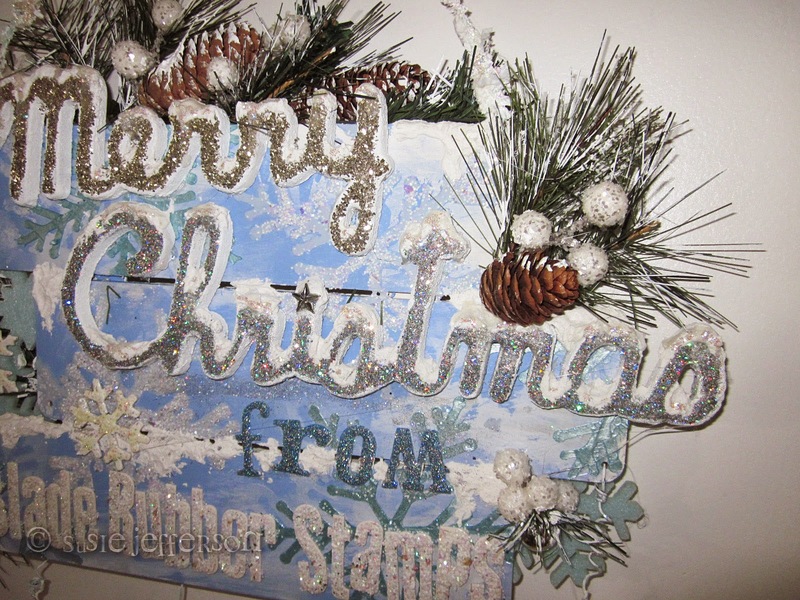 Once the glitter was dry, I added my letters with Glossy Accents, and the plastic Merry Christmas using a hot glue gun. 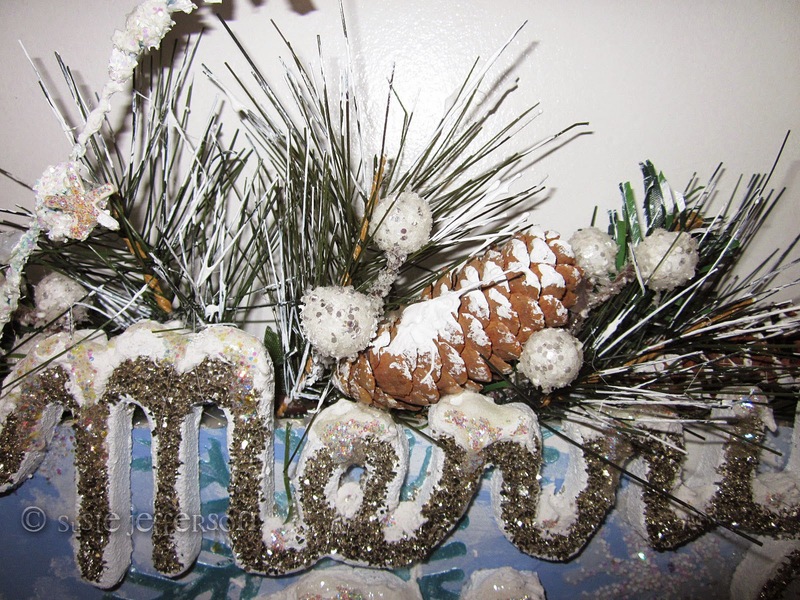 Finishing touches were artificial fir branches, felt snowflakes, white glitter berries and some fir cones - all applied using a hot glue gun. 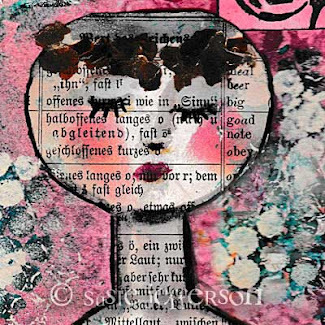 The whole piece was hung with a length of copper wire, painted with white acrylic and glittered. 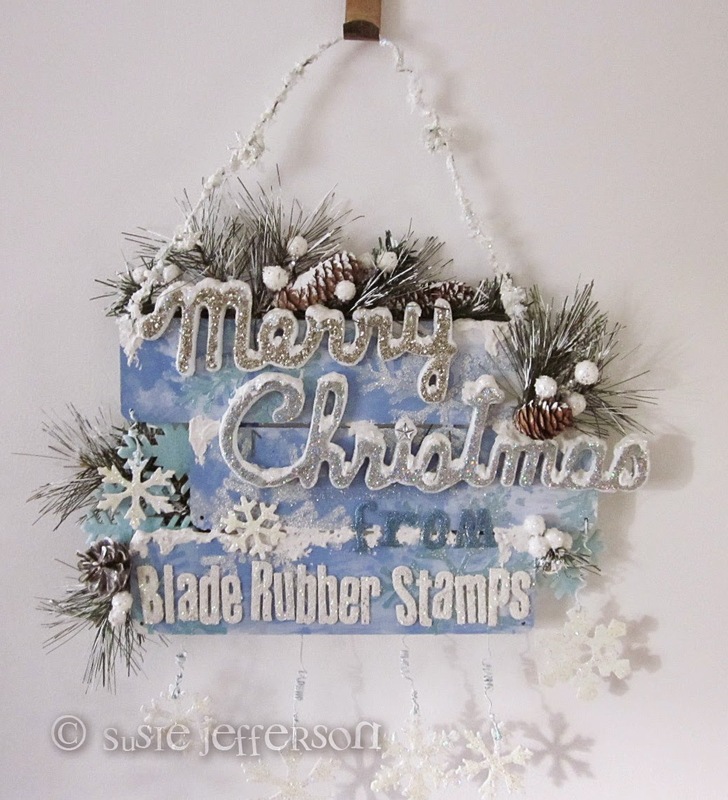 I did the same for the snowflakes, wrapping the wire round the end of a paintbrush to get the twirly whirly bits. These were glued at the back of the MDF, at the bottom, with glue gel (and a piece of lace stuck over the top with loads of white acrylic on top to make sure they were stuck really well). And that's it! 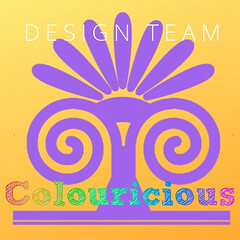 Hope you like it - and that you'll all visit and see their Christmas window in person.